Dish Network Internet Service has changed, BUT YOU CAN STILL SAVE BIG ON INTERNET PLANS! With multiple internet options available, you can bundle your DISH TV with an internet plan from many different providers like HughesNet or Frontier (just to name a couple) to give you the internet speed and pricing you’re looking for! Call us today and we can help you choose from satellite internet, DSL or other high-speed internet packages in your area. 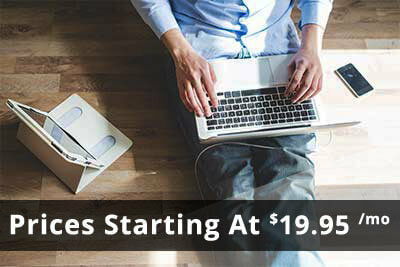 Some satellite internet plans starting at just $49.99 per month for speeds as fast as 25Mbps. **$19.95/mo - 6Mbps internet price is for first 3 months, normally $44.95/mo, Earthlink activation and equipment fees may apply. See disclaimer for full details. Bundle an Internet Service package with a DISH TV package to get the best deal on the services you use. Save even more money when you bundle home phone service. With plans starting for as little as $19.95 per month and the ability to bundle DISH NETWORK TV and Internet for more savings, we have your Internet needs covered. Our Internet team can help you find the most reliable service available in your area and answer any questions you have about satellite Internet, FiOS, cable or other high-speed internet services. Find the best internet service based on availability in your area, speed, reliability and price. Satellite internet service has come a long way! With speeds as fast as 25Mbps and NO HARD DATA CAPS, HughesNET satellite internet is a great option for people in rural areas or areas not serviced by other providers. HughesNET is the best choice for satellite internet. Call us today so we can discuss your satellite internet options with you. Need the fastest internet available? Fiber Optic Internet Service (FiOS) is the way to go. With speeds as fast as 500Mbps – dominate gaming, stream music and television with blazing fast speed and get more done online. FiOS isn’t available in all areas, so please give us a call at Call Now! 1-844-693-0284 to get your options! By combining high-speed Internet service with the DISH Network Television, you can do it all – stream movies and videos, download apps and games, stay connected on Facebook and Twitter, and browse the web faster than you thought possible. There are many internet providers out there. Call us today and we can help you see which options are available in your area choose the best plan for you. Does DISH still offer DishNET? No, but... call us and we can find the best internet provider and package to compliment your DISH TV package. Give us a call at (844) 693-0292 for options in your area. How fast is DISH Satellite Internet? DISH no longer offers a satellite internet option but HughesNET (DISH's sister company) offers 25Mbps download speeds with 3 Mbps upload speeds with no hard data caps. Does DISH offer satellite internet? Not any longer but we can pair your DISH TV with many different DSL, cable, fiber internet options or satellite internet through HughesNET, DISH's sister company.